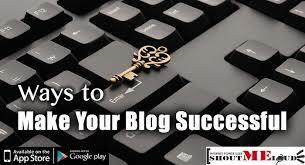 Determine the purpose of your blog and stick with it. Start by defining for yourself what readers you want to serve, and then build a strategy about how to reach them. “Try to Be true to the goals you set out for your blog: Are you providing product information? Are you provoking conversation? Are you commenting on trending topics? 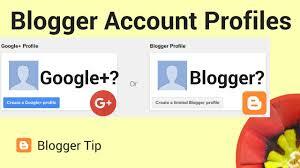 All approaches are valid but you need to determine what the value is that you will provide to your audience and continue to deliver that value,” If a blog post isn’t useful or worth sharing, it won’t produce much value for any reader or for the blogger himself. Make the most of social media by including “Share” on Facebook, Twitter, LinkedIn, Reddit, Google+, and StumbleUpon buttons on your blog. “The easier you make it for people to share your content with their network, the more likely they are to do so,” Make sure your content is SEO-friendly. if you can, Get smart about search engine optimization. Identify the key words for searching for a posting’s subject matter, and think about the best way to incorporate those search terms into the title and body of the post. the earlier in any sequence of words those keywords appear, the stronger the signal Google will receive. For example, “Hiring a Patent Attorney: Seven Things to Look For” will rank better than “Seven Things to Look For When Hiring a Patent Attorney,” because the desired keywords, “patent attorney,” come earlier in the sequence. Shah recommends keeping every blog title to under 120 characters, so that readers can easily tweet it.